Whose house is the flimsiest according to Quran? i cannot understand your question. Was Aisha (ra) the second or third wife of the prophet pbuh? Okay here is my first question. Why Allah has said in Quran that He send Satan on non believers to push them to do evil ? Based on my humble understanding, and the little reading i did just before posting. Seest thou not that We have set the Evil Ones on against the unbelievers, to incite them with fury? Because of their arrogance, mockery and their opposing the truth after it has become clear, the devils are made allowed to take a 'full' chance with them. and incite them to disobey God. untill they lead them to Hell. Their deeds lead to their not deserving protection from the whispers of the devils. 43:36 And whoever is blinded from remembrance of the Most Merciful - We appoint for him a devil, and he is to him a companion. As-Salaam Alaikum Aisha (ra) was the third wife. What was the reaction from the elders of Quraysh when Abu Bakr (r.a.) delivered his speech inviting them to Islam ? What is the difference between a prophet and a messenger? How can be good brothers as like as the Shahaba? 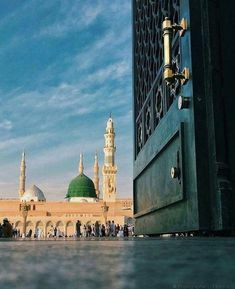 The prophet was sent to spread the victory of Islam to the whole world but the messengers was sent to spread the victory in a small part of the world. What major event took place in the 2nd Hijrah year in the month of Ramadan?